The phone call that effectively finished Theresa May’s error-ridden tenure as prime minister was made from Arlene Foster’s Co Fermanagh home on Wednesday evening. From early that afternoon there was a sense that the dreaded hammer-blow was coming.But the DUP leader wanted to personally make known her party’s decision to Mrs May before the news became public. Arlene Foster had to wait until Theresa May had addressed the Conservative party’s 1922 Committee before the arranged telephone call came through. The prime minister had just promised her party she would vacate her role once the first phase of Brexit was over. For not weeks but months she had absorbed rejection, embarrassment, humiliation and, on occasion a loss of voice that mirrored her loss of authority. By the time she ended her conversation with Arlene Foster and put the telephone back on the hook, she knew she had dropped to a new level of ignominy.Even after her very public offer to exit stage left, her action wasn’t sufficient. Along with David Blevins of Sky, his cameraman, Graham Mc Neill and RTÉ cameraman Peter Doherty, I saw the DUP leader minutes after the phonecall. As someone who has been buffeted by her quota of difficult days in the rough trade of politics, Arlene Foster was not comfortable in that space of part-executioner, part-undertaker. But she was convinced she knew what had to be done. And she did it. Somewhere out there in the great yonder, did Winston Churchill mutter 'I tried to warn you'. Much of the final British government cabinet meeting before the outbreak of World War I was spent "toiling over the muddy fields of Fermanagh and Tyrone" as ministers considered where the border might lie between Northern Ireland the proposed Irish Free State. Seven years later, Churchill concluded "the whole map of Europe has been changed ... but as the deluge subsides and the waters fall short, we see the dreary steeples of Fermanagh and Tyrone emerging once more." As it was in the beginning is now. Theresa May’s "Brexit means Brexit" may have undergone several recasting, but Arlene Foster’s Union means the Union is set in stone. And when Mrs May’s vision of Brexit collided with Mrs Foster’s definition of the union, there was no contest. Fermanagh calls the shots. As a result, Brexit, the drama that captivates us, is now in a new phase. More than any box set of West Wing or House of Cards it draw us. What makes it completely different is we have a part in it. Sometimes one feels like the resident of a semi-detached house, peeping out through the net curtains at the neighbours rowing in the back garden. The spectacle is unsavoury, it is sometimes loud and boorish. As with many rows anger often makes it illogical and unpredictable. But it is compelling. Addictive. Yesterday was supposed to be the UK’s official departure date from the European Union.Watching the latest car-crash scenes from Westminster in the afternoon, one’s mind drifted back to back to July 1997 when the British pulled out of Hong Kong and the Handover ceremony to China took place. Chris Patten was the final Hong Kong governor who oversaw the change. The ceremonies were like the most beautifully-framed scenes of a David Lean movie. Patten, his wife Lavender and their three daughters were pictures of health, glowing like dignified film stars. The Union flag was lowered for the last time and handed to the departing governor, the bandsmen played ‘God Save The Queen’, the trumpeter sounded The Last Post and Auld Ange Synge filled the air as the official vehicle carried the Pattens out the official residence gates for the final time. In the London Independent, journalist Stephen Vines wrote "by the time that Mr Patten, his wife Lavender and his daughters were on board Britannia, they all looked emotionally drained, in need of several large whiskies". After overseeing the UK’s successful exit from Hong Kong in 1997, Chris Patten took on a completely new role – this time he was in creative mode, much closer to home. The opportunity arose thanks to the 1998 Good Friday or Belfast Agreement. He chaired the Independent Commission on Policing for Northern Ireland that produced the Patten Report. 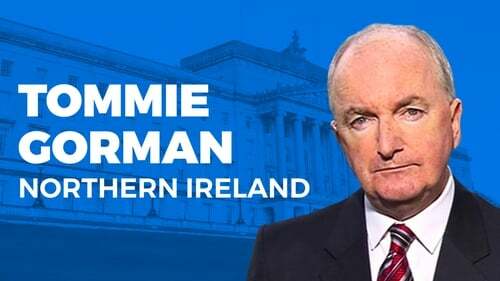 Effectively he established the mechanisms to transform the RUC into the PSNI with the appropriate layers of oversight and responsibility. Once that project was delivered Chris Patten moved on to become one of the UK’s two members of the European Commission (1999-2004).Recognised as a political heavyweight in Brussels, he was given the External Relations portfolio. It is a close call as to whether Patten or the late Peter Sutherland best deserve the dubious title "the best European Commission president we never had"
Certainly both individuals had the intellect and charisma to make a telling contribution to the EU’s direction of travel. But it was not to be. Chris Patten’s relevance to the Brexit issue is worth explaining. He is a former chairman of the Conservative party. He served in government under Margaret Thatcher and John Major. He was the last British governor of Hong Kong. He was once a junior Northern Ireland minister. He helped to reform the RUC. He was a member of the European Commission. 75 next month, he has watched events of recent months from the sidelines. On the Brexit Referendum Result he said: "Some of the lies we’ve been fed, some of the exaggerations which we’ve been given, from £350 million on the side of a bus to the idea that if we stayed in the European Union we would be invaded by Turks - all those little bits of mendacity, added together created the fog of doubt in which we took the decision that we did on Brexit". Of Boris Johnston, a prominent Brexiteer and a likely candidate in the pending Conservative party leadership contest he said "I think he (Boris) has always been extremely careless with the truth. "I think he was when he was a journalist … and I think he has been as a politician. I would doubt there is a single member Foreign Office official who didn't say 'hurrah' when he resigned as in that wonderfully public way, looking Churchillian. This is no Churchill. "...I think it was Amber Rudd who said that he might be the life and soul of a party but I wouldn’t want to share a car with him or let him drive me home." Britain’s imperfect relationship with Europe goes back centuries, not decades. The antagonism found a new venue when the UK’s request to join the European Community was accepted, at the second time of asking in 1973. The discomfort in the relationship never went away. In the European Parliament Nigel Farage and his UKIP colleagues were always keen to ventilate their discontent. In Mr Farage’s case he clocked up 25 pensionable years of loyal service building towards a separation. The Europe issue eventually did in three successive British Prime Ministers – the Iron Lady, Margaret Thatcher (1975-1990), the malleable John Major (1990-1997) and David Cameron (2010-2016), the gambler who as happened with his Labour predecessor, Tony Blair with Iraq, made one wager too many. But the Conservative leader who has let the UK’s distrust of Europe morph into a political mess without precedent is Theresa May. Her tenure, less than three years, is on course to be shorter than the reign of her three Tory predecessors. Her undoing is her own doing. The general election she called in June 2017 brought to the Westminster chamber a concoction that had never before featured in Conservative party blood-letting over EU membership. Mrs May found herself relying on the backing of ten DUP MPs to keep her minority government in power. "Dreary Steeples syndrome" migrated across the Irish Sea into Downing Street and the House of Commons.Sammy Wilson became a man of influence. As Theresa May learned to her cost, No Surrender really does mean No Surrender. As happens in life, one misfortune, one unintended consequence sometimes follows another. A gesture or intervention, dispatched with the best of intentions, can arrive as an insult. Analysis and reflection can include a phase of if onlys and what might have beens. The British government’s proposed tariff arrangements in the event of a No Deal Brexit might have been intended to put the frighteners on Dublin. They ended up antagonising the DUP and annoying its support base. The notion of giving the Stormont Assembly some influence or veto over the controversial backstop was politically illiterate: it would make Arlene Foster’s return to a full-time job as Northern Ireland first minister all the more unlikely. When Attorney General Geoffrey Cox used his booming voice to pass judgement on Theresa May’s most recent negotiations in Brussels, the DUP took note. There was no ladder. No cover. There could be, would be, No Surrender. After that Geoffrey Cox dampener on 12 March and the second defeat of Theresa May’s draft Withdrawal Bill, the wooing efforts continued and the DUP remained in listening mode. Meetings with senior government figures continued in London. Members of the media were alerted about one involving among others, the Chancellor Philip Hammond, Theresa May’s de facto deputy, David Lidington, Agriculture Minister, Michael Gove, Attorney General Geoffrey Cox and Chief Whip, Julian Smith. Flanked by two of his Westminster colleagues, Sir Jeffrey Donaldson and Emma Little Pengelly, the DUP’s deputy leader described the 15 March talks he had attended as "constructive". While those London discussions were going on in the Cabinet Office, over in Washington Arlene Foster was attending the series of St Patrick’s Day events. Her interactions with the Taoiseach and his colleagues were "cordial". Influential Congressman Richie Neal, an established champion of US-Ireland relations, went out of his way to make the DUP leader feel welcome. The needle wavered from left to right. Theresa May’s speech finger-pointing at MPs before she departed for a Brussels summit did her no favours. In the ebb and flow, the DUP kept doing the sums. The bottom line kept recurring. The calculation was even if their ten MPs changed sides, they wouldn’t trigger the number of defections to change the result. In October 2006, at Saint Andrews in Scotland, when stalemate was on the cards, the magic happened and a route to power-sharing, with DUP participation, opened for the first time. In February 2018, with DUP involvement, a template for the restoration of power-sharing at Stormont had been drafted but on the morning of decision, the DUP pulled back. Shortly before 3pm on Friday 29 March, ten DUP members trooped through the No Lobby for the third successive time and voted down Theresa May’s Draft Brexit Withdrawal Bill. Those who changed sides included Boris Johnson, guest speaker at the DUP annual conference; ERG chairman Jacob Rees Mogg, guest speaker at a function in Ian Paisley Junior’s pro-Brexit North Antrim constituency and former Brexit Secetary, Dominic Rabb. The margin of defeat was 58 votes, a significant improvement on the 230 votes gap, (15 January) and 149 votes (12 March). To the DUP leadership, this most recent result suggests its caution was justified - ten DUP votes were unlikely to have created the momentum to get Theresa May 20 further defections and the total of 30 new backers she required for a victory and a dignified exit, stage left. For several weeks Boris has been on a diet. He has a tighter haircut. Dominic Rabb, like Esther Mc Vey cannot hide his leadership ambitions. Jeremy Hunt has a spring in his step. Michael Gove, once accused of stabbing Boris in the front, may also be doing the sums. The Brexiteers have done an impressive job, spreading their influence within the Conservative party membership. If one from within their ranks succeeds Theresa May as party leader, some of the milder Tory MPs, ministers included could find the result too distasteful. The disharmony, in a relatively short time, could lead to Conservative party implosion and a British general election. That would open the possibility of Jeremy Corbyn becoming prime minister. He is keeping himself in excellent physical condition, hoping the ambition that has guided his every utterance on Brexit might be realised. Chavez meets Castro. Those domestic British political issues, dominated by Tory blood-letting, seem destined to dominate UK politics in the immediate future. The European Union will have to try to find away to allow the Conservative party "family business" run its course and not let the Westminster malaise, Northern Ireland bug attached, travel across the channel and land in Brussels. History teaches us that all things pass. Note the DUP fear of a No Deal Brexit, at least equal to its objection to Theresa May’s Withdrawal Bill. The day will come when the DUP and Northern Ireland’s other political parties will find the will as well as the means to return to power-sharing. Arlene Foster would prefer to be getting on with all her neighbours, not just her DUP supporters instead of making a phone call to confirm the end is nigh for a British prime minister. Sinn Féin may be comfortable with its policy of "we smoke but don’t inhale" in Westminster. But there is little joy in being abstentionists in Stormont and an opposition party in Dáil Éireann. In our semi-detached houses at the far end of the road, there are indeed elements of gloom and guilt as we watch the neighbours on the lawn, arguing and remonstrating. But beyond their fence there are other houses.After all, we live on Europe Street.